We are no longer accepting new students in this program. Please see our Diagnostic Medical Sonography Associate Degree Program. The program includes a blend of academic and clinical classes to help you understand the art and science of sonography. You’ll study cardiovascular anatomy and physiology, cardiovascular pathology, EKG interpretation, patient care, and common protocols for cardiovascular exams. The program includes an externship component, which includes a progressive supervised clinical training experience in a clinical environment. Also known as cardiac ultrasound technicians, diagnostic cardiovascular sonography is one of the most dynamic and fascinating careers available in medical imaging. The cardiovascular sonographer operates highly technical equipment using high frequency sound waves, commonly known as ultrasound, to produce accurate and appropriate anatomic and physiologic images that aid the physician in the diagnosis and treatment of medical conditions associated with the cardiovascular system. 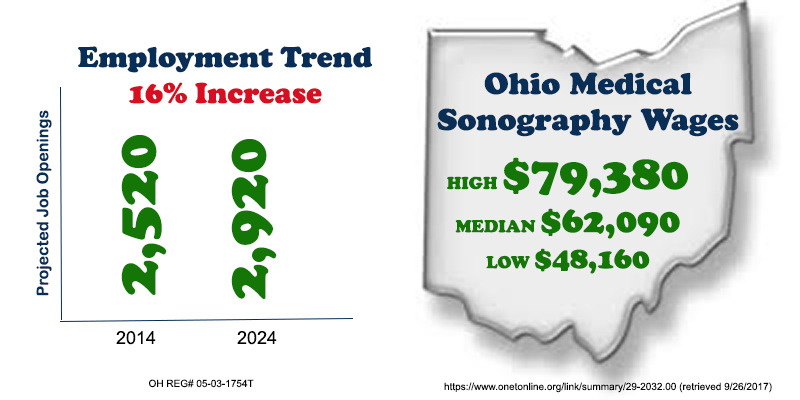 Sonographers may work in different environments, including hospitals, cardiovascular clinics and independent cardiac testing centers.